The heart of Waddel history is firmly rooted in its place of growth and nurture. With its rolling hills and lush green pastures, Scotland is a rather magical backdrop, and a place to call home for centuries of early Waddel history. Though a place so ripe with beauty and culture, Scotland is not without its dark and bloody past. The Waddels themselves were not avoided by it. Amidst one of Scotland’s darkest eras, we begin to see Waddels emerge as rebels, as survivors, and ultimately those who triumphed in the faith. To understand where our story begins, it is important to note the political and social climate leading up. By the 16th century, Roman Catholicism had enveloped the isles of Scotland. The Church brewed distrust from the people by bringing in vast amounts of wealth and securing political influence and power. Even in matters of church life, the common people were often left in the dark, disallowed from reading the Bible themselves, and having to participate in Church services held predominantly in Latin, a language they simply did not understand. In the early 1500s, the wave of the Protestant Reformation, heralding from the mainlands of Europe with such reformers as Martin Luther paving its way, began to make course through the hills of Scotland. Scotsman Patrick Hamilton, influenced by the teachings of Luther, returned to Scotland from Europe fervently in act of spreading the Gospel. For this, however, he made an enemy of the Roman Catholic Church and in 1528 was burnt at the stake in St. Andrews. At just twenty-four years old, Patrick was considered the first martyr in the period that came to be known as the Scottish First Reformation. The First Reformation would be the backdrop through which men, such as George Whishart and the great John Knox, would rise to great influence among the common people of the land, who in numbers grew to embrace the Protestant faith amidst oppressive discouragement from the Roman Catholic Church and King James VI. In the following weeks, the document had traveled through the Lowlands of Scotland, being signed by the people, and almost all of the nobles of the Lowlands, eventually making its way slowly, but surely, through the Highlands. As the Reformation History article best puts it, “Signing the covenant was not rebellion but an appeal to the law of the land against the tyranny of the king.” To have signed the Covenant was simply to proclaim that Jesus Christ was the only true head of the church, and that it should be free from the wrongful authority of the king in matters of religion. As political tensions later come to a head, these “Covenanters,” were viewed by the State as traitors to the crown. The Solemn League and Covenant, signed in 1643, followed in a similar vein, but was much more theological in nature. It was bound in conjunction with the assembly of Scotland, England, and Ireland in a pact to continue the work of the Reformation and to be joined peaceably with one another in common practice and doctrine of the church so as to be wholly unified to one another. 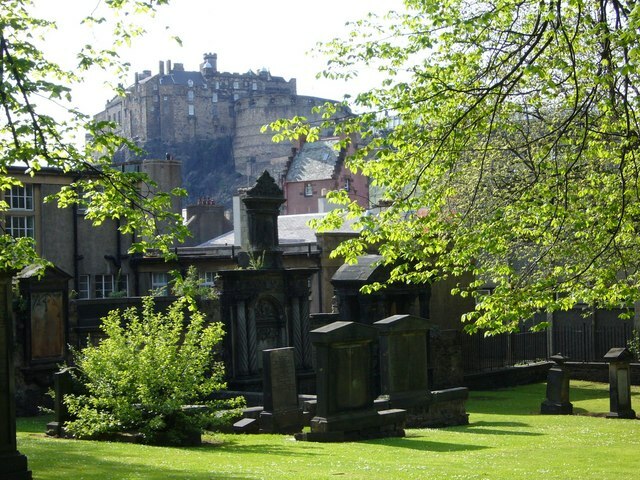 The Greyfriars Kirkyard was the site of the signing of the National Covenant in 1638, and would later be used as a place of imprisonment for the Covenanters caught during the battle of Bothwell Bridge in 1679. Both of these documents were covenants that carried with them a strong commitment of the lands of Scotland and the other British nations to the crown rights of Jesus Christ. For the Scots, though, their beginning to reform the church was put to a halt when, just as they had signed the Solemn League and Covenant, the English executed the Scottish king, Charles I, and in 1649, Oliver Cromwell asserted his power over the three kingdoms as Lord Protector. In 1660, Charles II of England was restored as king over the three kingdoms, and soon the Covenanters began to face persecution. Those who were important figures among the Second Reformation, including many of the men involved in the signings of the National Covenant and the Solemn League and Covenant, were sought and killed. Laws were passed strictly limiting religious freedoms, barring preaching or even going to hear preaching not admitted by the State, with consequence of the peoples’ lives. This narrative, of over a century of struggle, is out of which the first Waddell of our line makes his name known. * It might be of interest to note that the modern-day Reformed Presbyterian Church has a unique historical connection to the Scottish Covenanters themselves, having maintained essential doctrines of the Scottish Covenanters since the first RP church was established in North America in 1743. It was the spring of 1679. The Covenanters had been facing greater persecution. In the decade leading up, the government had tried to wane the people from their convictions by using “softer” approaches. Indulgences were offered by the state to those ministers who “hadn’t caused trouble”4 and who would agree to stop preaching certain ideas, such as that the king had no power over the church. Some ministers gave in to these indulgences, and others were punished harshly for their refusal. It should be noted that the issue over indulgences was a deeply controversial one, and even now, it is difficult to distinguish what really was the best course of action for many of the ministers. On one side, there were men such as Richard Cameron and Robert Hamilton who greatly opposed the indulgence and those who associated themselves with it. On the other hand, ministers such as John Welsh of Irongray, grandson of John Knox, a good friend of Cameron and others, were sympathetic to many of the indulged ministers who felt that making certain concessions were necessary in order to remain in their stations to be able to continue preaching the Gospel. Opponents felt the mere acceptance of the indulgence was a betrayal to their confessions, and an unwitting nod to corrupt powers. Certainly, not all men who accepted or denied the indulgences did so for the same reasons–and perhaps on both sides, some were with more nobler intentions than others. Understandably, however, this issue divided the Covenanters greatly, and caused more trouble for the people. One of the greatest forces during these years was Archbishop James Sharp. A former Presbyterian himself, Sharp had departed from his fellow Covenanters and soon rose to affluence as the newly appointed Archbishop of St. Andrews in 1661. He rose staunchly against his former comrades, signing into order several deeds that would hope to quash the Covenanters, such as the Court of High Commission, which allowed the government to carry out death sentences without the right to appeal, as well as the Act against Conventicles which outlawed unrecognized religious gatherings. By the 1670s, people who were caught participating in “unlawful” religious gatherings were simply put to death5. 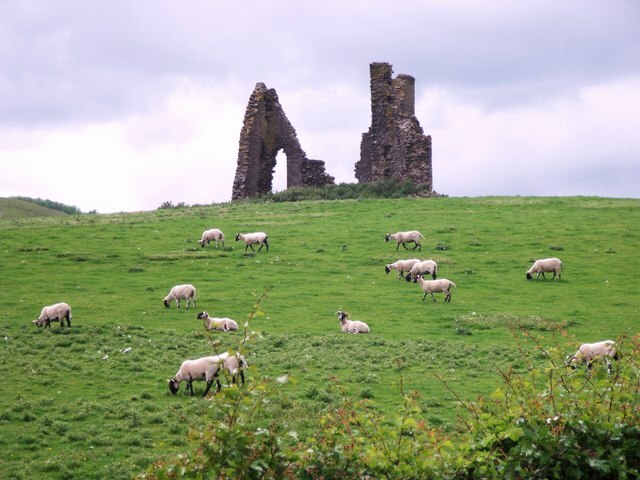 On the night of May 3, 1679, along Magus Muir, just outside of St. Andrews, Archbishop Sharp’s coach was intercepted en route by a band of men, purportedly under the guide of John Balfour of Kinloch and David Hackston of Rathillet. With his daughter and coachman in sight, but unharmed, the Archbishop was assassinated. A depiction of the attack on Archbishop Sharpe, engraved by H. Bourne from the original painting by Sir William Allan, R. A., London. c. 1840. There is a famous painting by prolific Cornish artist, John Opie entitled “The Murder of Archbishop Sharpe.” The scene depicts the night of Sharp’s assassination, at which his daughter was also present. Opie’s painting is currently on display at the University of St. Andrews. 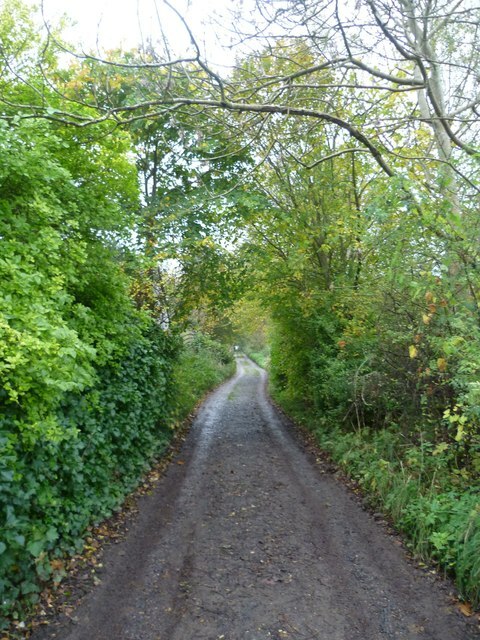 Known as “the Waterless Road”, this old road runs from Kennoway to Edinburgh, and was the road on which Sharp was intercepted on the night of his assassination. in Zion is his seat. the shield, the sword, the war. that were the men of might. were in a dead sleep cast. if once thou angry be? all meek on earth that were. for to be feared is he. By mid-June it seemed the Covenanters had landed in a relative state of rest, to build up their strength and to recuperate. Many of those who were at Drumclog joined at Bothwell Bridge, in the small Lowland town of Bothwell, just along the River Clyde. There, many others gathered alongside them. The numbers of people amassed to the thousands, reaching by some estimates to five and six thousand. However, they were poorly organized, and lacked proper training or equipment, and in the midst of theological quandaries, were easily swarmed upon by the king’s men. Alongside them, our reputed ancestor, John Waddel struggled. 1 – “National Covenant” reformationhistory.org. 2 – This is referring to the greater “Protestant Reformation” rather than the specific periods of “Scottish” reformation, though the two Scottish Reformations are periods found in, and a part of, the greater era known as the Protestant Reformation. 10 – There are varied numbers among sources, some higher or lower. It is a generally consistent range, however, that there were around 7, 000 troops, with estimations that account for less or more. 11 – Old Mortality. Walter Scott. 12 – New Monkland Parish. John Macarthur. 13 – “Battle of Bothwell Bridge.” Wikipedia. © Copyright Astrid H and licensed for reuse under Creative Commons. © Copyright Kim Traynor and licensed for reuse under Creative Commons. (Scanned from a book) [Public domain], via Wikimedia Commons.